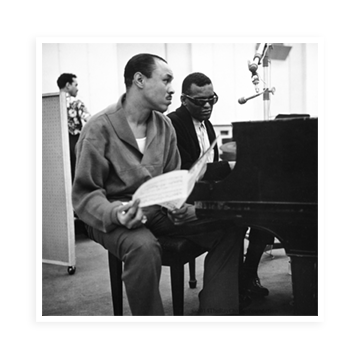 Ray Charles signed with Atlantic Records. 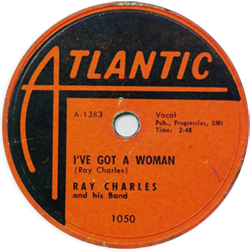 Ray Charles’ “I’ve Got a Woman” became his first hit to crossover nationally. In 1959, Joe Adams, on a handshake, spearheaded the business ventures for Ray Charles. Later, in 1962, Joe Adams became Vice President of Ray Charles Enterprises, Inc. until the death of Ray Charles. Mr. Adams served as President of operations of The Ray Charles Foundation until he passed the torch to Ms. Valerie Ervin in 2008. Joe Adams served as Chairman of the Board of The Foundation until 2015 moving to Chairman Emeritus until his death in 2018. Ray Charles signed with ABC-Paramount. Ray Charles was the first major recording artist to negotiate ownership of his recordings with a record label as he did with ABC-Paramount Records. 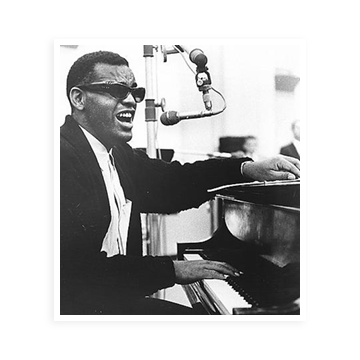 Ray Charles was the first recording artist to release a Billboard Top 10 Pop Chart Hit that used the Wurlitzer Electric Piano as he did with “What’d I Say.” Many believe that this recording saved that instrument from extinction as Ray made it “cool” for other artists and bands to use it. Ray Charles recorded his first Country and Western recording “I’m Movin’ On,” it reached Top 40 status peaking at #40 on the Pop chart.